Like any true Dalmatian, Adagio is an easy-going friendly Bavaria 36 built in 2011. It has a bit larger interior than a regular Bavaria 36, her 3 double bed cabins and the saloon sleep up to 8 people, offering extra space for even more comfort. It is a popular model among families and groups of friends alike, it's just the right size and easy to sail. Take her out for a relaxing cruise on any route of your choice, the area around Sukosan where she is based will not leave you bored, trust us. Whether you're looking for some summer fun, or are interested in discovering historical places, all that is within easy reach. Have a feel of Zadar's night life and taste some divine food traditional restaurants offer. Make sure your route for the week includes Saharun beach on Dugi Otok, a Caribbean corner in this part of the world. 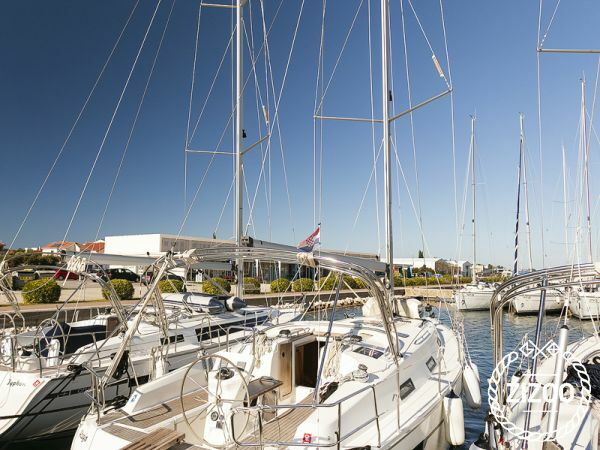 This charter company has 15 years of experience in making their guests' holidays memorable and carefree.